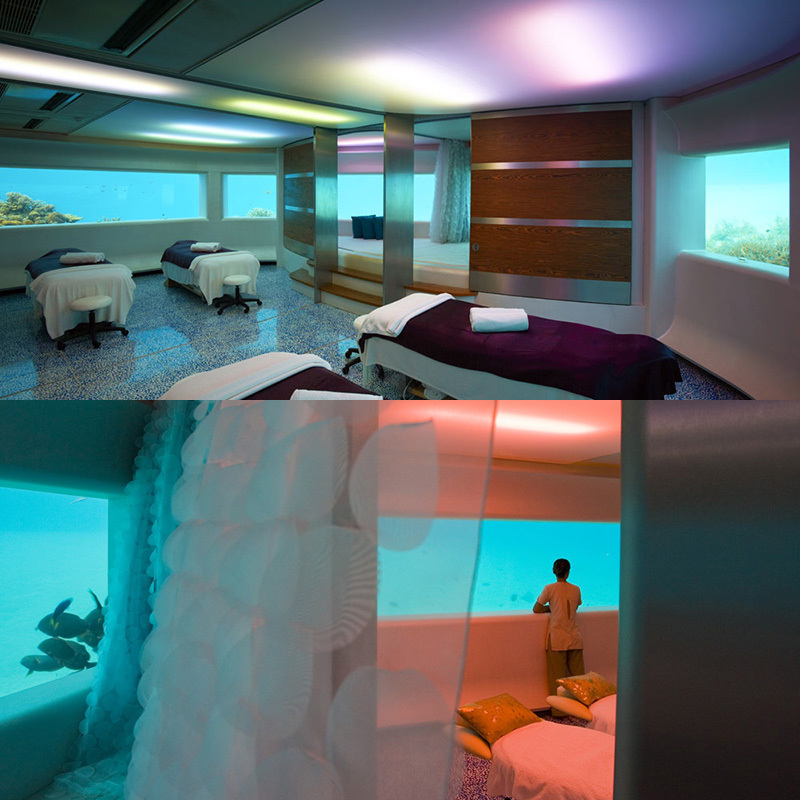 If It's Hip, It's Here (Archives): So It's Underwater, But The Manta Resort's Submerged Room Is Not What I'd Hoped For. 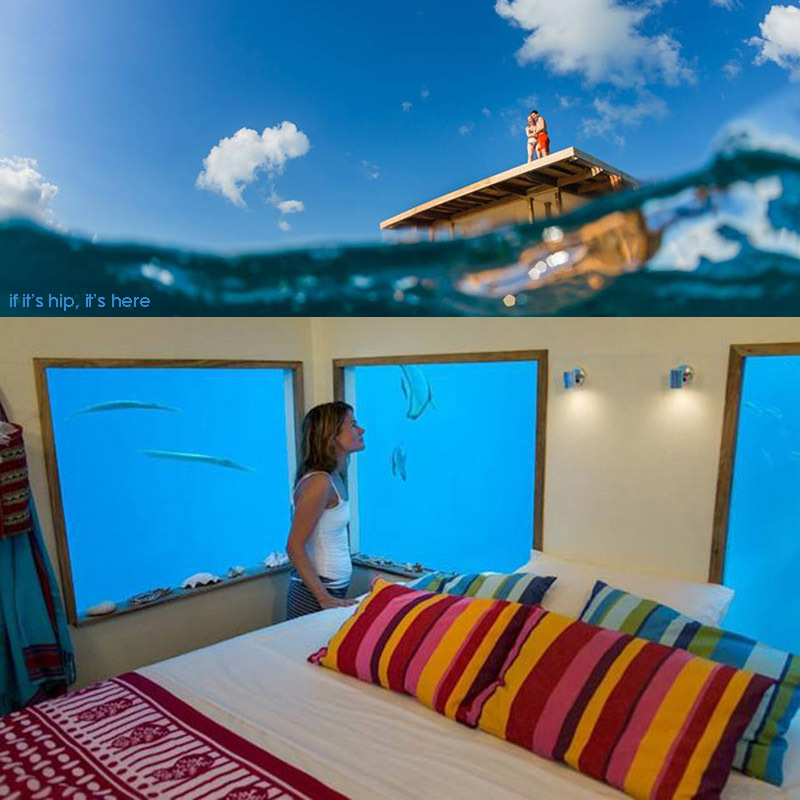 So It's Underwater, But The Manta Resort's Submerged Room Is Not What I'd Hoped For. 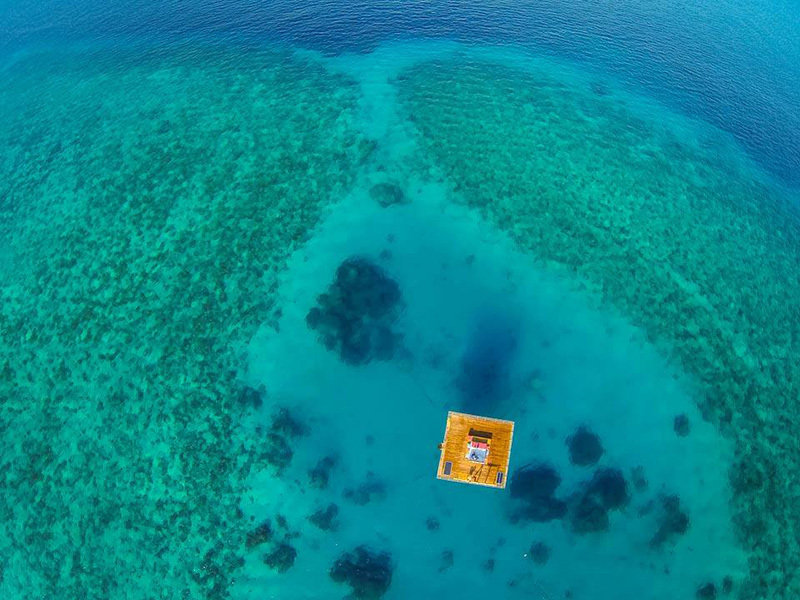 Everyone is buzzing about Africa's first underwater hotel room. 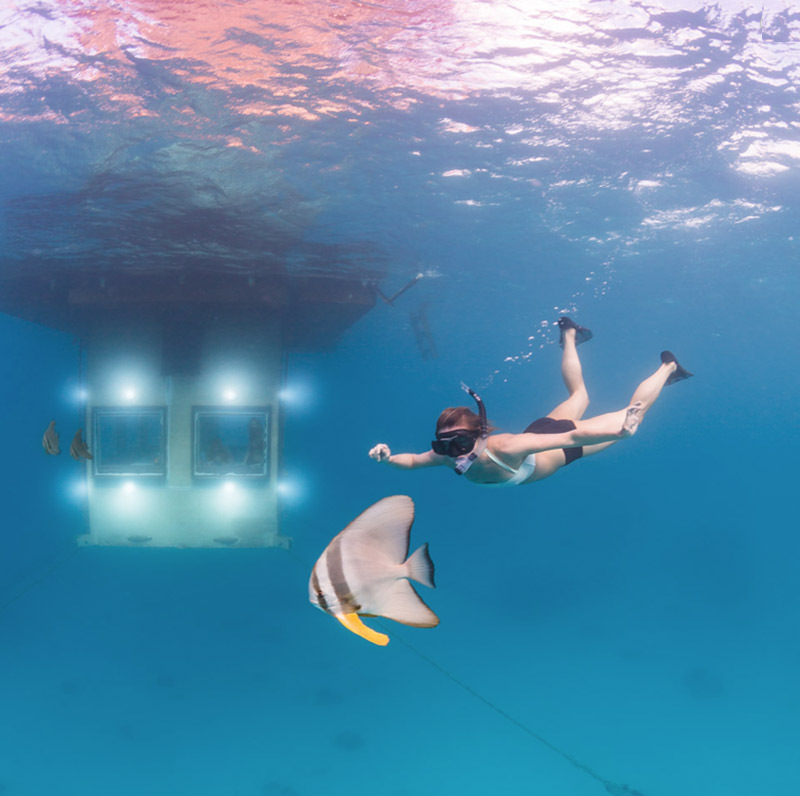 Opened as the Manta Resort's newest attraction on November 1, 2013, the sub-aquatic accommodation floats in a circular blue hole in the coral reef near Pemba Island, off the East Coast of Tanzania. 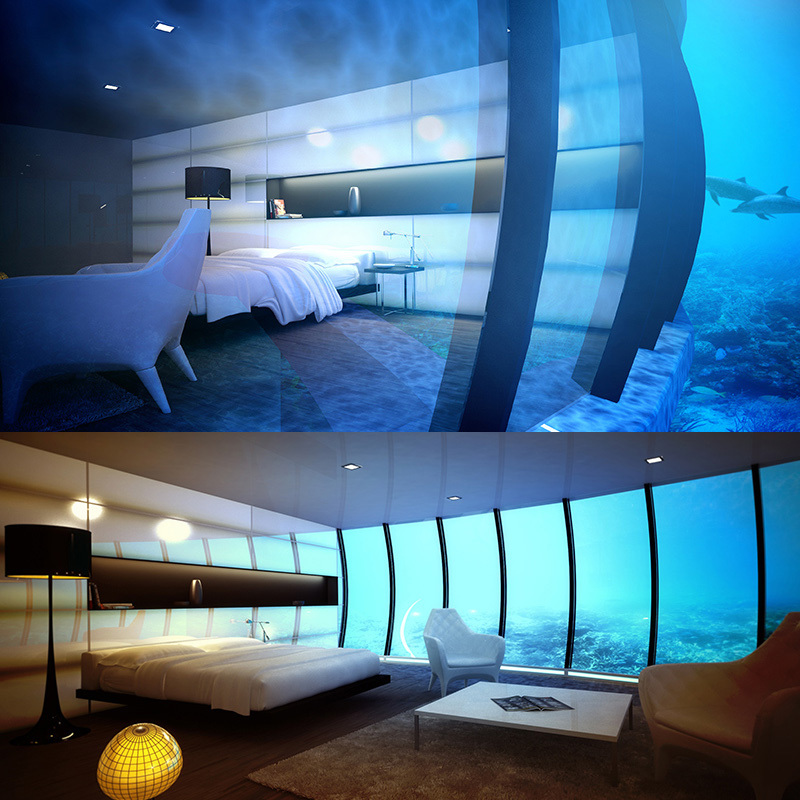 Instead, the Manta Resort's Underwater Room is really more of a submerged observation cubicle. 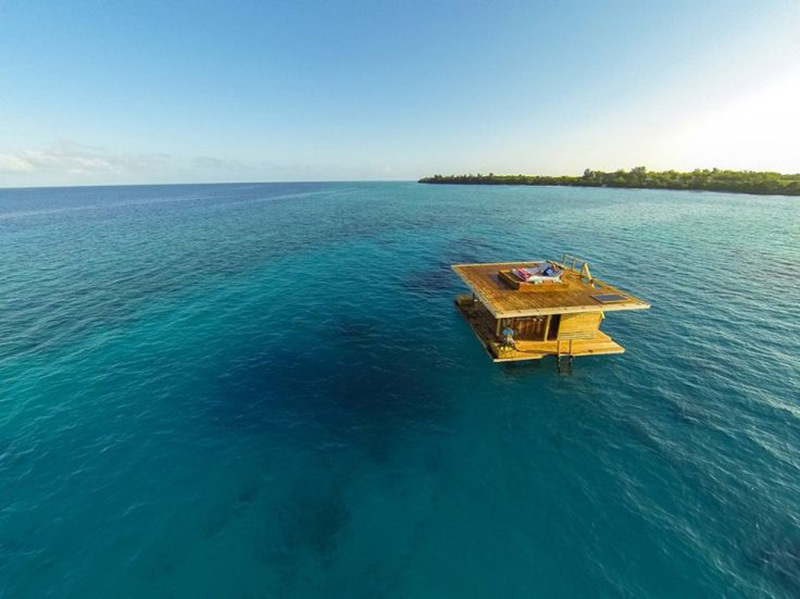 The top floor, which sits above sea-level, is basically an open-air deck like a floating raft with a bed upon it. 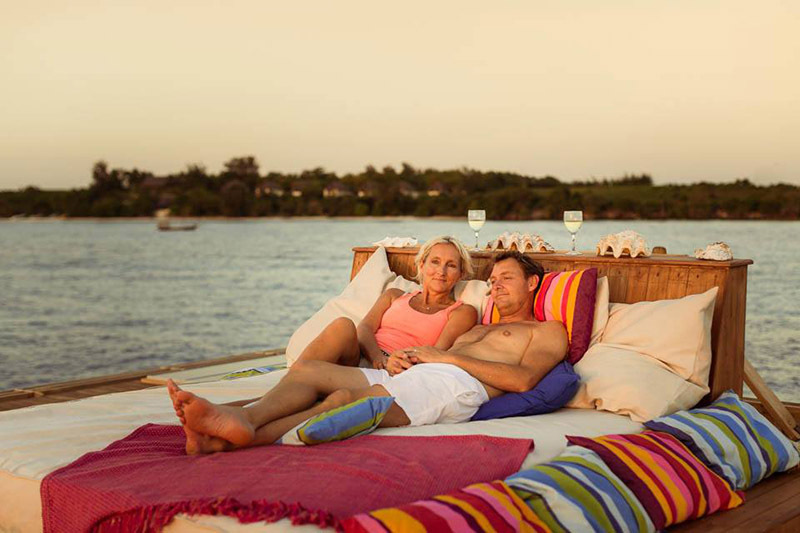 Here guests can relax, take in the idyllic Indian Ocean surroundings and soak up some sun or gaze at the stars. 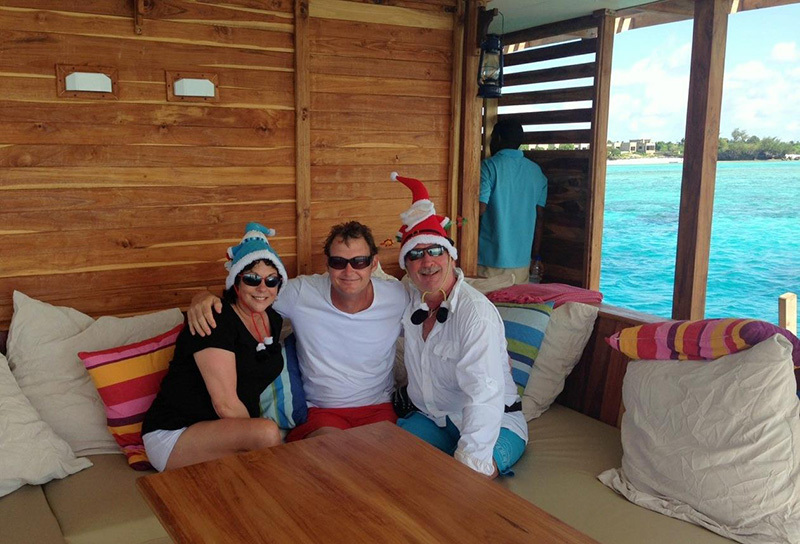 Beneath the top deck is a level with a lounge, a shower, a bar and a cozy sofa/ built in bench and table. The bottom floor is a small square, claustrophobic-inducing box submerged to the depth of four meters. A bedroom with inset windows, hardly "walled entirely in glass" as it has been described. 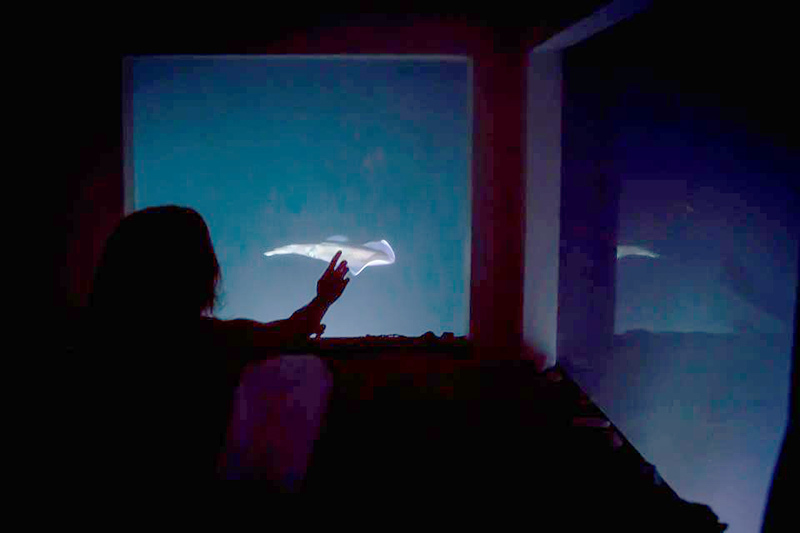 It most certainly does offer surreal views of passing sea-life and at night, the nocturnal sea life illuminated by spotlights is breathtaking. And yes, it's true, most of the occupants will be spending time above on the deck or looking out the windows below. 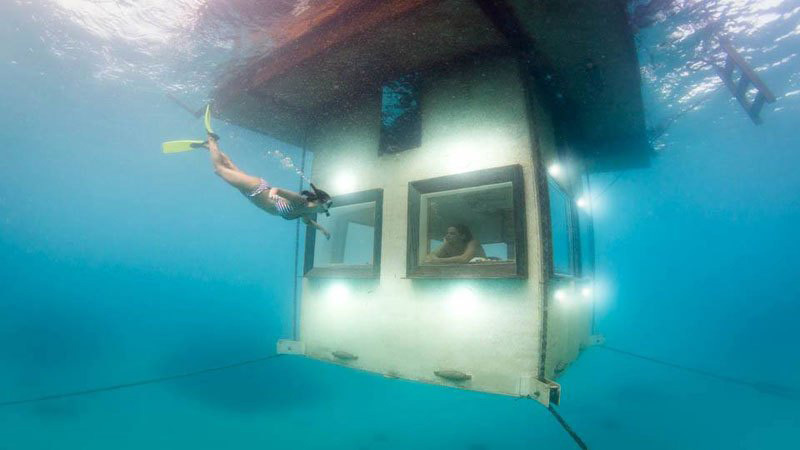 But given the glut of underwater hotel designs and proposals, this is where we can stay? 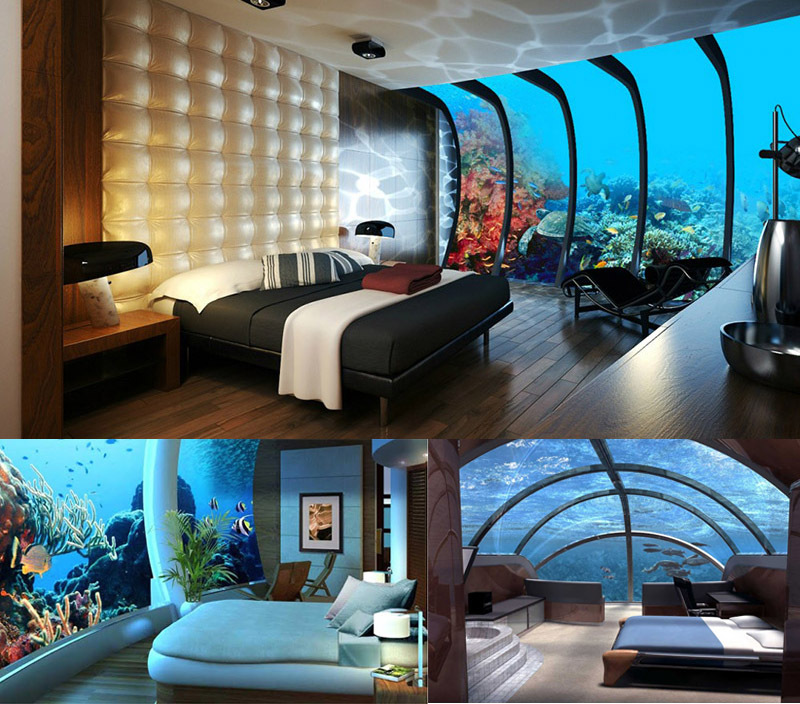 Where are the rooms that look like those proposed in The Poseidon Resort, and The Discus Hotel? 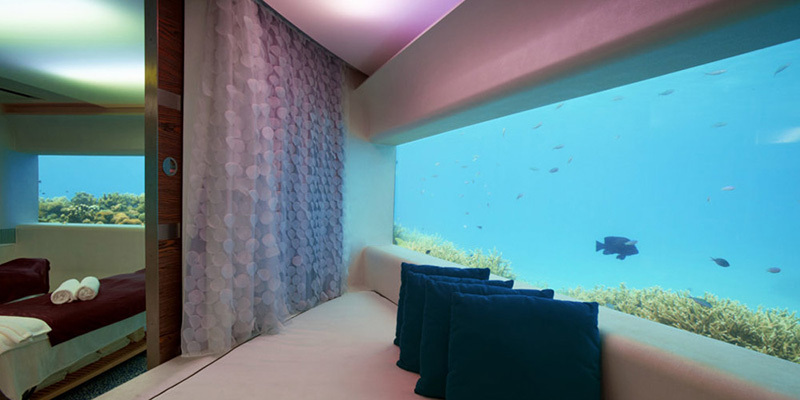 Even the actual Underwater Spa treatment rooms at the LIME, Hufaven Fushi are prettier. 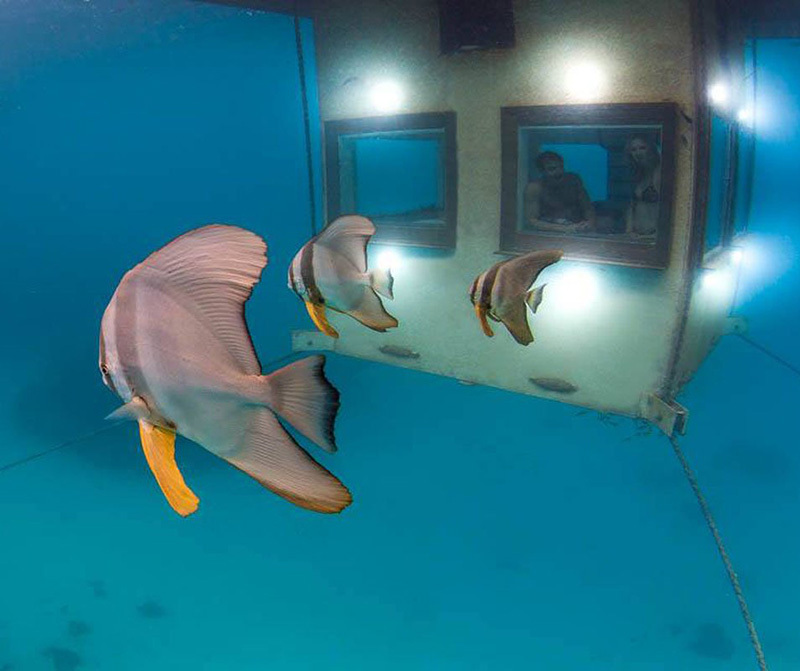 The gorgeous photos of the Manta Resort's underwater room from the exterior by Jesper Anhede are lovely. 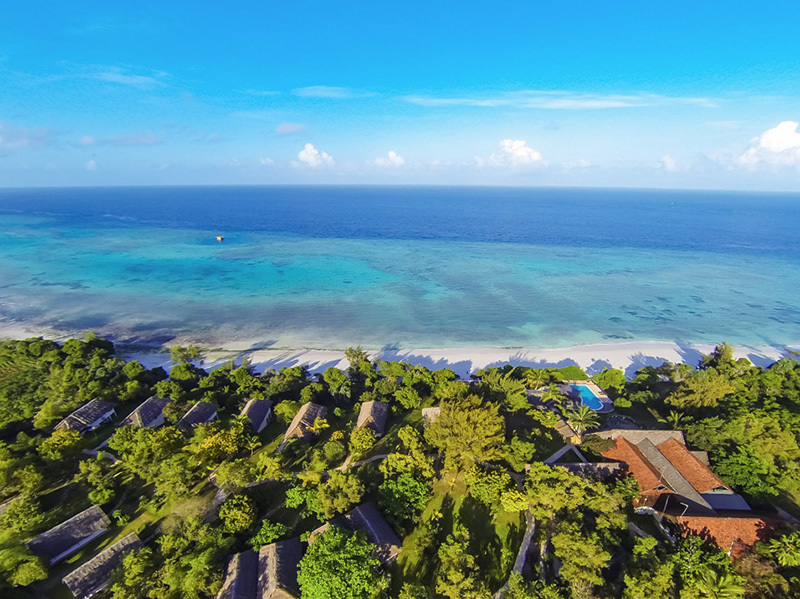 And, to be fair, the Manta Resort in Pemba, Tanzania has lots to offer in terms of activities: scuba diving, sailing, gorgeous white sand beaches, massage, spa treatments and exotic underwater life to observe. But come on, couldn't they have decorated that room a little better? 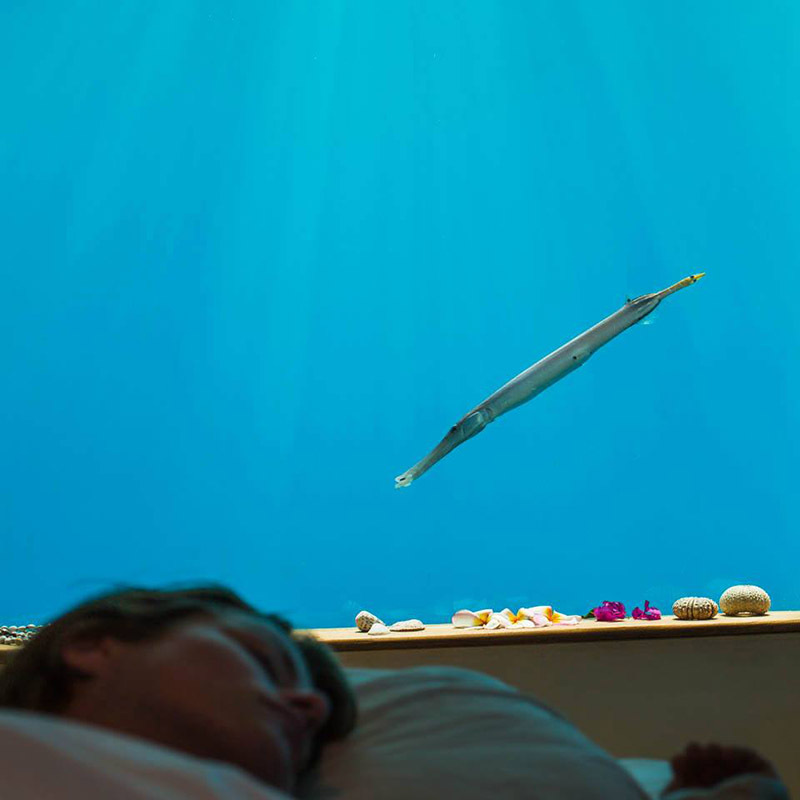 The vacation innovation was designed by Swedish installation artist and sculptor Mikael Genberg. He's the brains behind the Utter Inn, an underwater room built in a lake near Stockholm, and is currently contemplating putting a Swedish-style cottage on the moon. 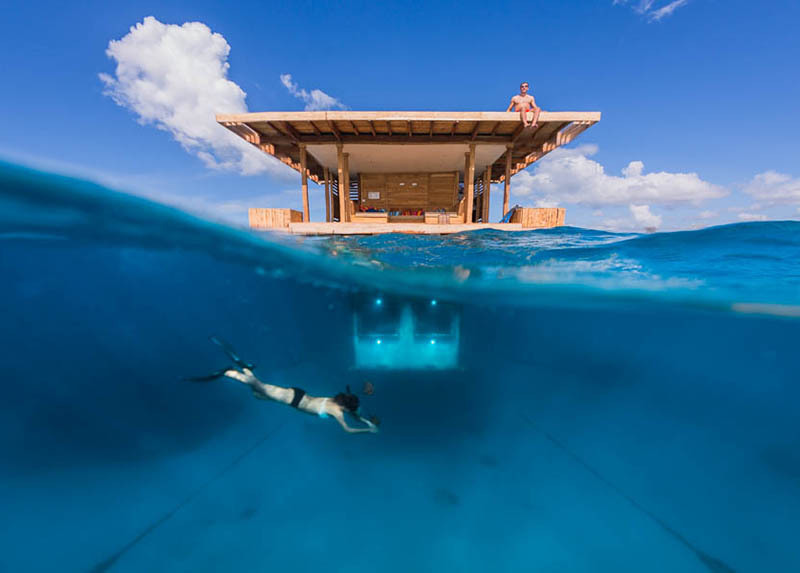 Funding was achieved via a newly formed company registered in Zanzibar, Genberg Art UW Limited, which represents a collaboration between several Swedish and Tanzanian investors, including Genberg Underwater Hotels, Christer and Jacky Abrahamsson, Hans Elis Johansson and Michael Wild. 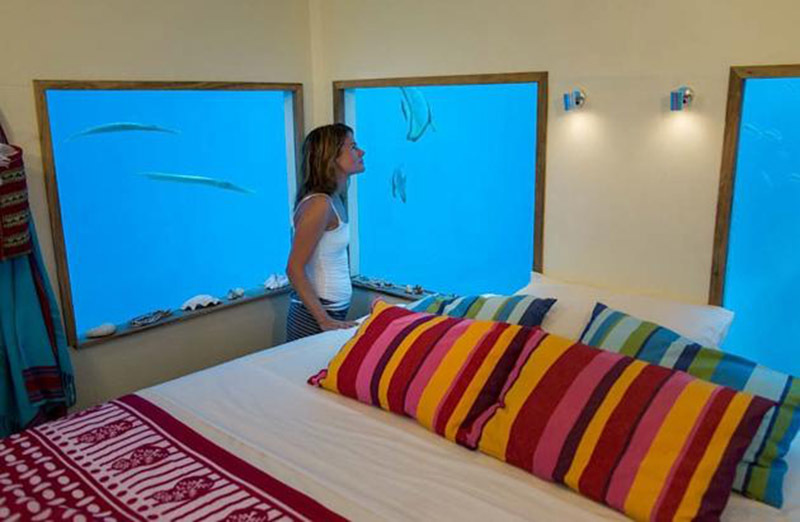 The underwater room can be 'added' to your bookings for a night or two at the Manta Resort for $1500 ($750 per person) as opposed to being booked as your sole room. 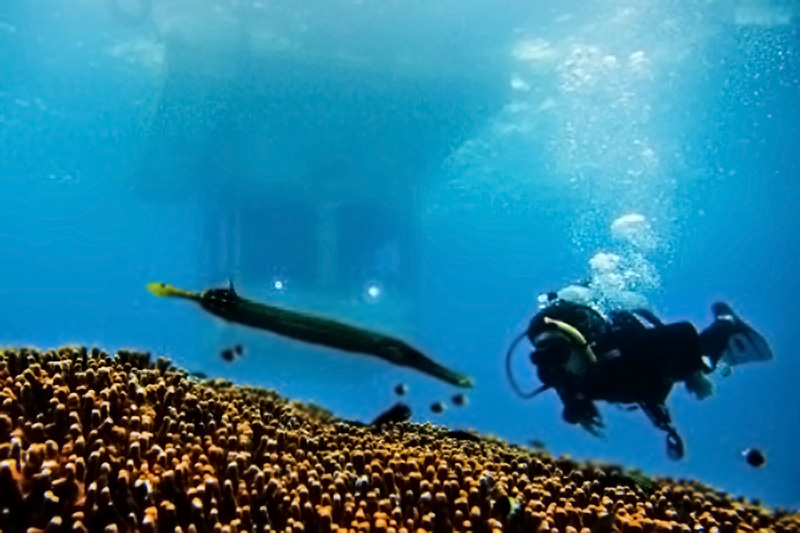 They do offer special prices for divers.